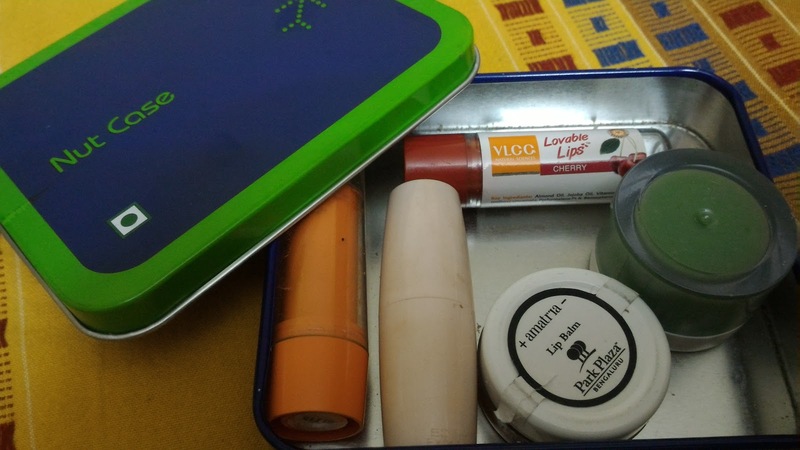 Jill Of All Trades: Winter Lip-Care! Hello beautiful people! You must have read a couple of articles on winter care on my blog, and this is one more for you all! This is the season we all love, yet the season that our skin totally hates. Dry, scratchy, itchy skin is something we all hate. And our beloved lips have to suffer the most, because the skin on the lips is the thinnest of all. Did you know that? That's the reason for chappy, dry, dark lips. And if you happen to lick 'em to get rid of this dryness, mind you, you're just making it worse! There are some home remedies you can try to protect your lips - like applying milk or malai on the lips after having a bath, or keep yourself hydrated by drinking a lot of water. But when you're out of home, at work, or travelling - a lip balm is your only haven! I have tried quite a few brands of lip balms, both sticks and pots. This time I decided to try and review the range by VLCC - Lovable Lips. A lip balm infused with the goodness of jojoba oil that dresses and caresses your pout in one sweep to make it luscious,lovely and lovable. Jojoba oil is one of the richest natural conditioners that the tropical forests have to offer. It has numerous beauty benefits and is perhaps the best known plant-based lip hydrator and soother. Jojoba oil heals chapped lips and seeps in to restore moisture and texture from within leading to smooth & supple lips. With Vitamin E, nourishing Almond oil and SPF, VLCC brings to you a range of sun-safe pout perfectors in many pretty hues. Key Ingredients : Almond Oil,jojoba oil,Vitamin E, Octyl methoxy cinnamate,Performalene PL & Benzophenone 3. Usage : Simply glide it over your lips to savour the fragrance and set the colour. Use daily and as often desired. 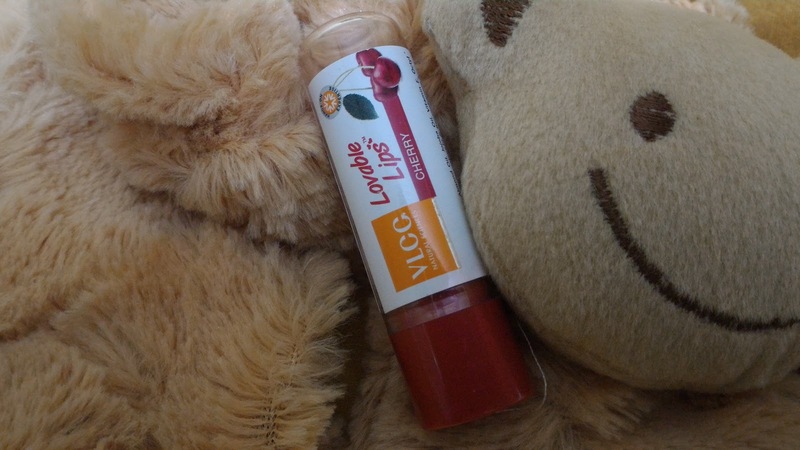 Continued use makes lips soft,supple and healthy. 1. 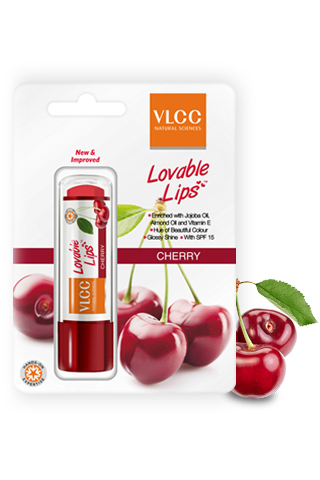 Range of flavours - The VLCC - Lovable Lips comes in 8 different flavours ranging from strawberry, rose, cherry to mango, peach, honey, almond and orange! 3. They also give protection from UV Rays with a SPF15. 4. The dark coloured flavours like rose, strawberry, cherry and peach have a beautiful tint that colours your lips, so you get lips that feel beautiful and look beautiful! 1. The packaging quality overall is very okayish, but then it's priced at Rs.125 which is very reasonable! 2. Some of the flavours like almond don't have a tint or rather give a whitish layer to the skin on the lips, which is a complete no-no. otherwise, these non-tinted variants are great for men looking for lip-care. 3. 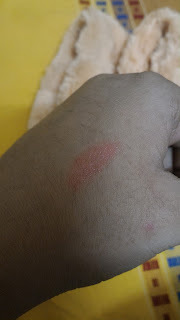 It does not last all day long, you need to keep re-applying it every couple of hours, but then that's alright, because to make products last long, a lot of chemicals are added to beauty products, which I'd rather not use on a daily basis. Verdict - I would buy one of the dark tints, which look great, smell awesome and feel beautiful! And thanks VLCC for telling me that Jojoba is actually pronounced as Ho-Ho-Ba (It was written on the website). I gave different flavours of the lipbalm away to family and friends for Christmas! IskiUski is one of the online foremost jewellery shop in india with the latest jewellery design in Gold, Diamond, Silver. We offer wide range of men diamond earrings from various famous designers. In a country like India, vastu tips for removing depression from home is considered one of the basic requirements while constructing a property or building according to pre-specified principles. It is necessary to follow these principles for wealth, health, fame and prosperity in life. Though it has become difficult to follow each and every principle in the present era, it is important to make maximum use of tenets in order to achieve peace and harmony in life.